Snowdon is one majestic mountain; promising spectacular views as far as England, Ireland, Scotland and the Isle of Man on a clear day. 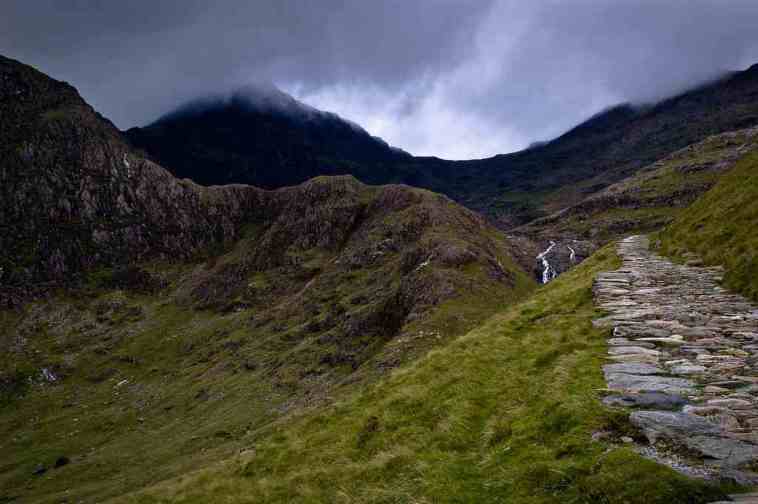 From the Watkin Path for abundant flora and fauna to the challenging Horseshoe for experienced mountaineers, Snowdon provides a variety of options, including centuries-old miners' tracks, to observe fascinating vestiges of Waless industrial past. 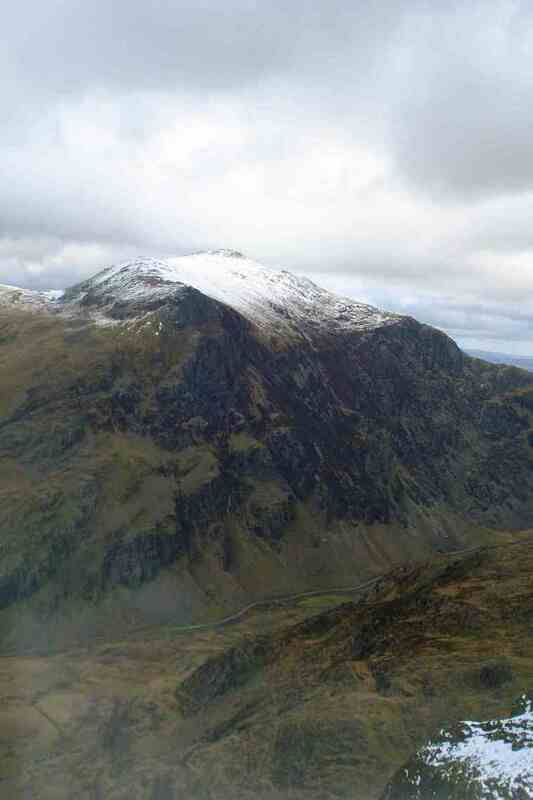 The Miner's / Pyg Tracks are an ideal combination of the approaches. The climb can be conquered in 4-6 hours (or 6-7 hours for those disarmed by the splendid panorama) which makes for a perfect if tiring day. The summit can be overrun with tourists; perhaps aim to set out early in the morning, to avoid the crowds. Meriel is 9 and has NEMALINE MYOPATHY, a rare form of Muscular Dystrophy. 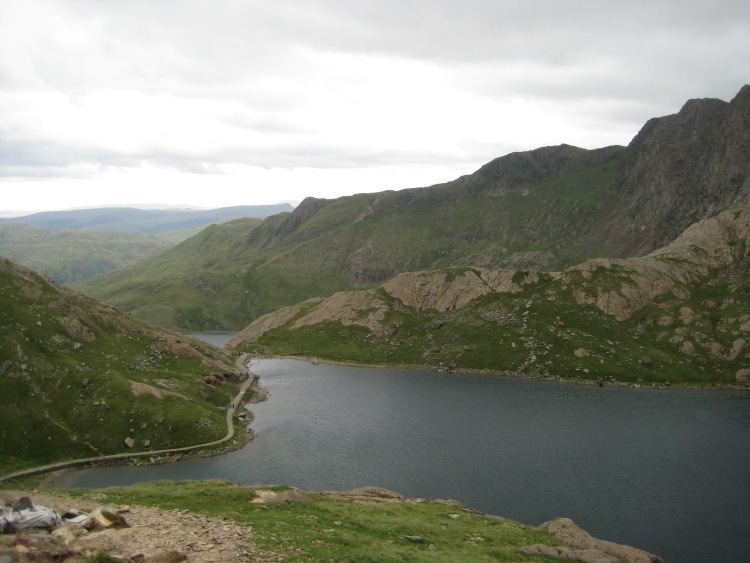 Meriel's dream to place a stone on Mt Snowdon cairn has now evolved into a 'Dream Stone' Triathlon to Snowdon. With support from a teacher at school & friends, collectively know asTeam MAP-NEMALINE (Team MAP-N), her 'Dream Stone' is going to be carried over water, road & track.and placed on Snowdon. Raising funds for her charity. 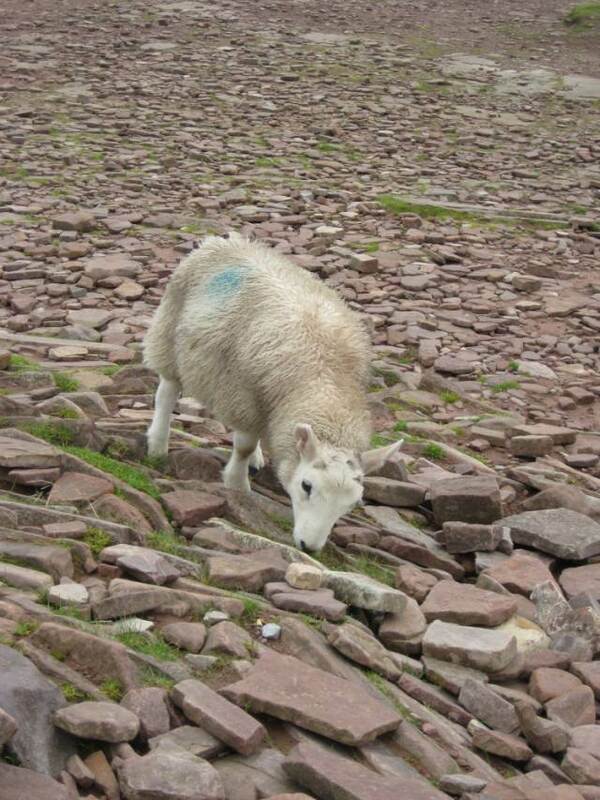 Place a stone on a summit for Meriel and send us your photo to walkopedia@gmail.com, saying who you are where the stone is being put! For more, including how to support the challenge, see our page. 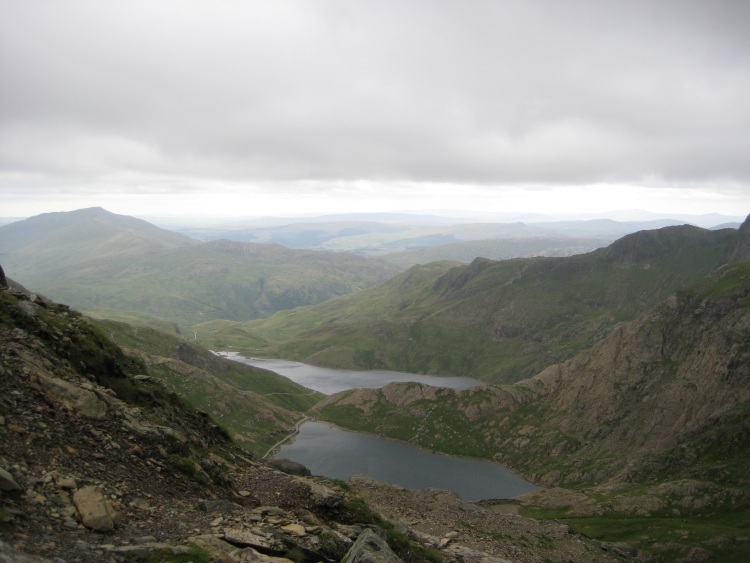 Steeped in history, geological significance and folklore, Mount Snowdon is one of the more beguiling mountains in the world. 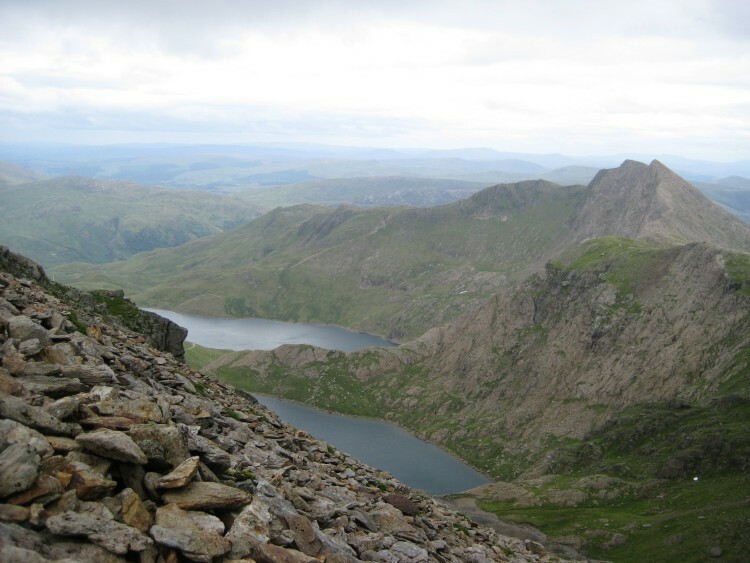 Whether your interest is ancient marine fossils; flora and fauna, from skylarks to bedstraw; Wales' industrial heritage or pulse-racing extreme sports, the mountains beautiful glaciated valleys and rugged peaks do not cease to fascinate walkers and climbers alike. Snowdon, or Yr Wyddfa (burial place in Welsh as legend has it that the summit's cairn marks the grave of the giant, Rhita Fawr) is the UK's highest mountain south of the Scottish Highlands; located in the Snowdonia National Park in North Wales. Snowdon's starfish form affords an intriguing variety of routes to the summit, each with their own unique allure and varying degrees of difficulty. Aside from the notorious Horseshoe Crib Goch ridge (not to be attempted by the inexperienced mountain climber, and never in poor conditions), the most famous itinerary is perhaps the Miner's/ Pyg Track combination (Pyg apparently referencing the Pen y Gwryd hotel at the bottom of the pass, once frequented by the leading explorers of yesteryear): incorporating stunning lakes, bruised blue by their copper content; intriguing ruins of the miners' old Britannia Mine copper crushers; dazzling hydroelectric works; a taxing, craggy ascent and sublime panoramic views of slate mountains, valleys and rivulets stretching down to the sea. We want to give more information on other routes. Photos and ideas welcome! Although unsettled Welsh weather often shrouds the summit in moody mist, clear days produce spectacular views across to England. Inspiring description of weather clearing just in time on Mt Snowdon. The summit was encircled by black cloud and mist, with visibility measured in yards. A howling gale blowing through - seemingly from all sides at once - threatened to sweep the unwary off the ridge, and cold and wet, my girlfriend and I reached the summit of Snowdon. In the midst of a hot summer, we had set out to climb one of Britain’s favourite mountains. Fully expecting the famous picture-postcard views throughout the day, we had arrived instead to a dank, drizzle-drenched scene, with the less well prepared walkers turning back from the car park before their treks had even begun. We began our approach to the mountain from the east, along the Miner’s Track, treading across the grey rock, worn down by the long-dead miners of the Britannia copper mine over the hundred years before it closed for the final time during the Great War. easing into our stride, we crossed the causeway over the tranquil waters of Llyn Llydaw. The early part of the walk was easy, but above us we could see greying cliffs and greyer skies. We felt certain though, that the clouds would lift as we gained the summit; this was our day and the mountain would surely not disappoint. Approaching the steep ascent above Llyn Llydaw, the track seemed to vanish up the hillside, becoming almost vertical from our perspective. Struggling upwards we stopped several times for breaks, each time peering down at the water below, where the few figures in view became ever more distant. The sound of voices above us signalled our arrival at the Pyg Track, where our ascent became less steep for a time, and the infamous Snowdon crowds began. The continuous stream of people heading upwards along this motorway of a trail threatened to destroy any sense of wild beauty the mountain held, but the ubiquitous friendly nature of the hillwalker, offering smiles and hellos, helped to compensate for this. Through a thickening mist and a strong, almost burning wind trying to drive us back, we forced our way up towards the summit. Nearing the top, we found that extra energy the body always holds in reserve and seemed to glide upwards, in contrast to our progress up the steep and rocky path by the copper-blue Glaslyn lake. Topping out by the tourist railway that traces the Llanberis path from the valley below, the final few hundred metres along the ridge passed easily. With no sign of a break in the clouds though, the glorious view to both east and west was absent. The dark, chilled mountain top was dominated by a tremendous gale, and the hoped-for early afternoon summer sun was nowhere to be found. Small knots of people huddled together in the lee of rocks, or gathered near the then unfinished café, looking worn and beaten. The only movement at the top was from those battling against the wind, awaiting a moment of calm to dash up the summit rocks for a stolen photograph and trying not to be torn away by the gusts. With little protection from the wind, and nothing to see but cloud and fog, we soon began our descent of the western side of the mountain, following the Snowdon Ranger track. Sliding through the scree that barely clings to the mountainside, we were resigned to the disappointment that can so often accompany high expectations. We were leaving the mountain behind, still shrouded in its evil grey cloak, and still concealing its rugged beauty. Passing close to the famous ‘Cloggy’ (Clogwyn Du’r Arddu) crag though, we received our reward at last. Dream-like, the clouds to the south began to part, and then re-form again. Snatched glimpses of hillside, lakes and streams were reclaimed by the clouds almost as soon as they were offered up. Sculpted green and golden hillsides sheltered glassy lakes, and when the sun penetrated sufficiently, its silver light reflected back to us through the mist. Each time the cloud cover thinned a little, we were treated to a new scene. Like a living gallery - ever changing, never static - the scene to our left held a wild beauty beyond any it could have had on a cloudless day. As we walked on, the breaks in the cloud became more and more frequent. Above us, a dazzling blue sky crept into view to share the scene below, delicate watercolour brush strokes developing before our eyes. So often, I have been to places of truly astounding beauty, but then turned my back on them after just a short while, anaesthetised to their power by over familiarity. Here, on this day, our spirits were renewed and refreshed by the fleeting visions the mountain chose to give us, our thirsty souls lapping up the drops of beauty we were offered. As the day drew to a close we padded gently downwards towards the Snowdon Ranger youth hostel; former home of the original ‘Snowdon Ranger’ John Morton, an early mountain guide. Looking back for a glimpse of the path we had taken, we knew we were lucky to have been on Snowdon on that day. Moving forwards, we have both been spurred to explore further, climb higher and push on deeper into the outdoors. 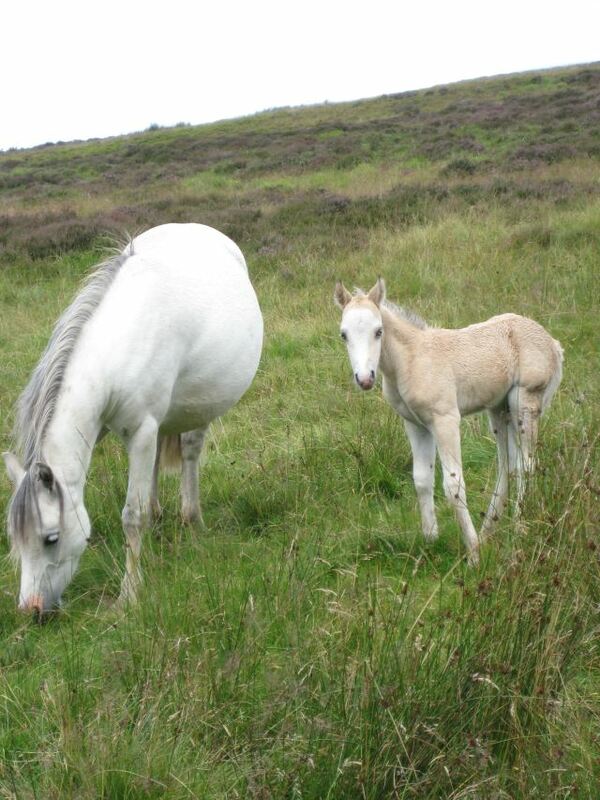 Above all else though, I have learned to savour what the hills offer me, not just what I want to take from them. If I am prepared to stop and look, to feel and to dispense with expectations, I know that the hills will always have a reward for me.